OVER P4.4 million in unliquidated cash advances, wrong use of Special Education Fund (SEF), millions in unimplemented programs, over P7.4 million in lost earnings, inadequate bond for town treasurer and an unsecured treasurer's office summed up this year's additional findings of Commission on Audit (COA) on the 2010 operation of the municipality of Tigbauan, Iloilo. Worse even is the town's treasurer office itself found by COA as "not properly secured exposing government funds and property to risk of loss thru theft due to its accessibility to unauthorized personnel contrary to sound internal control." Aquino must not pull any punches in his corruption battle. That has happened too many times in the Philippines. Its people deserve a thorough and public accounting of why their living standards haven’t improved. There needs to be a serious reconsideration of a political culture that serves itself, not the tens of millions toiling in poverty. The only way the Philippines will reach its true potential is to get the spoils of economic growth out of the pockets of politicians to those who most need it -- and earn it. An end to the scandals and corruptions might help, too. NOW TIME TO INVEST: Economists and financial experts agreed that for the government and for investors awash with cash, now is the time to invest, especially in job-generating infrastructure. "The point is how can we attract long-term investments from both foreigners and locals? PPPs (public-private partnerships) have been slow going," Arsenio M. Balisacan said. Balisacan credited the Aquino government for striving to change the perception that the Philippines is a country riddled by corruption. "KOTONG" COPS BACK: The "kotong" (mulcting) cops are back. This time they are meaner and are now having a field day, an affront to President Benigno S. Aquino III's campaign against corruption, major transport groups said in a dialogue with Vice President Jejomar C. BinaY... Zenaida Maranan, president of the Federation of Jeepney Operators and Drivers of the Philippines (Fejodap), told Binay during the dialogue that apart from rising fuel prices and spare parts, what hurts public utility jeepney (PUJ) drivers are some policemen mulcting money from hapless victims. Maranan said that in some areas such as in Manila, where Fejodap members operate, a "mere PO1 (Police Officer 1) or PO2 (Police Officer 2)" now demand as much as P20 from every PUJ unit. August 13: Former President Fidel Ramos said the investigations into numerous anomalies during the Arroyo administration are driving away investors and giving the country a bad image. “These (investigations) are not (creating) a pretty picture for us. 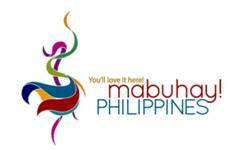 It is likewise not very attractive to those who want to invest and travel to the Philippines. They end up going somewhere else,”...The former president did not specify which investigations are tarnishing the country’s image. August 14: Malacañang…belied former President Fidel Ramos's claim that President Benigno Aquino III's campaign against corruption is driving away foreign investors. "We are getting the opposite because according to the foreign investors that we have talked with, they say the search for accountability is a good thing because it brings closure [to questions of anomalies in the past administration]," deputy presidential spokesperson Abigail Valte said… "It's better to let the people see what is really happening and what the government is doing rather than sugar coating." She also reminded Ramos that President Aquino was elected because of his campaign promise to rid the government of corruption and go after "against those who have done the country wrong." “You can’t say we are against corruption and yet let accountability fall by the wayside," …Valte denied that the Aquino administration is on a witch hunt. She said that Malacañang is making sure that all charges that may be filed against officials of the previous administration are based on facts and evidence. The Commission on Audit has chided the Presidential Commission on Good Government (PCGG) for failing to make available for audit examination the $50.48 million Swiss deposits of the Marcos family that was forfeited in favor of the government. CoA also chided the PCGG for spending $3.9 million for travel between January 31, 2004, and September, 2010. State auditors explained that PD 1445 provides that “all monies and property officially received by a public officer in any capacity or upon occasion must be accounted for as government funds and government property.” It also stressed that all disbursements should be subjected to “necessary examination and audit within thirty days” from receipt of the money. Despite the increasing number of witnesses against him, former First Gentleman Jose Miguel Arroyo still insists he is not the owner of 2 pre-owned choppers that were sold as brand new to the Philippine National Police (PNP). However, Senate Blue Ribbon Committee chairman Teofisto Guingona III presented the general information sheet of LTA Inc. for year 2011, which showed that Mike Arroyo is still one of the company's top stockholders. Guingona said he believes a lot of people will go to jail for the anomalous procurement of second hand choppers. Read Malaya article: "Pilots, paper trail point to Mike A"
“There’s a conspiracy to cover up something here.” Senate President Juan Ponce Enrile said Thursday as he berated Commission on Audit (CoA) auditor Jaime Sanares, resident auditor of the Philippine National Police (PNP), for failing to properly audit the contract entered into by the law enforcement agency with a helicopter dealer. The Senate leader berated Sanares for not even taking a second look at the contract to see if the deal between the PNP and the Manila Aerospace Products Trading Corporation (MAPTRA) was fully complied. “You just made it on the basis of the site inspection. Did you refer to the procurement documents? Basta sabi mo, sabi ng inspector mo, they looked like brand new. Di ba ninyo tinitingnan ano bang (klaseng) kontrata ng ahensya ng gobyerno dito sa produkto na binibili? Di nyo ba tinitingnan yun? (Did you not check what kind of contract did the agency of the government had with the kind of product they chose to buy? You did not check it?” Enrile asked Sanares during the hearing. Sanares said they scrutinized the contract and even thought of engaging the services of another CoA auditor who was assigned to them. But Enrile pointed out that if state auditors were thorough in their auditing of the aircraft purchased, the PNP would not have bought the helicopters. “I’ll put it directly. You didn’t find anything wrong with it. You didn’t try to ascertain if the contract was faithfully executed or complied,” he told Sanares during the hearing. “Precisely the contract says brand new…There must be compliance with the contract and the most important part of the contract is the description of the property to be purchased. It was brand new… but your audit, your representative in doing the post audit, did not see to it that the contract was faithfully complied with by the supplier,” Enrile said. Ma. Gracia Pulido Tan, new COA chairperson said she accepted the position with the aim of ensuring that COA would be what it is meant to be– to ensure that public funds would have full and proper accounting. under her leadership, COA is now preparing for a major strategic planning plan to map out the commission’s course in the next five years. PhilGEPS is the single e- portal for registration of suppliers and advertisement of bid opportunities in the country. The Philippines’ procurement system used to be described as cumbersome and prone to corruption as there were many outdated and inconsistent laws and many agencies dealing with issuance of guidelines and procedures in procurement. The procurement process across all government agencies, from all branches of government, to local government units and public schools and universities, now involves announcing and advertising all procurement opportunities, inviting qualified parties to bid, evaluation of bids, awarding of contracts, monitoring of delivery and performance and payment. The whole process is recorded and posted electronically for others to see. Through the use of the PhilGEPS, transparency in government procurement is enhanced since opportunities to trade with government and the ensuing transactions are provided online. Information on changes in terms of references, bid schedules and on the winning bidder and contract amount are all accessible through the system. In addition, the electronic catalogue, which provides information on pre-approved cost of commonly used items, will help government auditors check that supplies purchased by a government agency are not grossly over-priced. ...the Philippine government also plans to launch the eBidding feature by the end of the year to enable online submission and opening of government bid projects. Read full article "Transparency by Design" about e-procurement systems in Asia. Justice Secretary Leila De Lima said she wants the public to be informed on different crimes committed in the Internet, stressing that uniformed policemen alone would not keep the cyber haven safe. Internet statistics show that 30 percent of the Philippine population have access to the "world wide web" as of 2010, posting a 3 percent increase since 2000... 87 percent of Filipino Internet users "have fallen prey in one way or another to various kinds of malicious activities through the Internet." To report cyber crimes, the public may contact the National Bureau of Investigation, an attached agency of the DoJ, through its Computer Crimes Unit with telephone numbers (02) 528-8231 to 38 local 3455 or the Philippine National Police's Cybercrime Unit under the PNP Criminal Investigation and Detection Group at (02) 726-1575. Former trade minister Roberto Ongpin has challenged the Development Bank of the Philippines (DBP) to substantiate its claims that the bank's previous board granted him a P660-million behest loan. House opposition members say employees who were bullied and harassed by government officials should come out "so that they could be assisted and spared from further punishments"
Former Agriculture Secretary asks Sandiganbayan to quash plunder charge filed against him in connection with P728 million fertilizer fund scam. "There's no witch-hunt at DBP, loans anomalous"
ADB Report - 145 pp. Achilles heel for most Asian economies. If recent adverse trends in the quality of institutions and rising corruption continue unchecked, the region’s ability to realize the Asian Century would be seriously jeopardized. All countries must improve governance and continually transform their institutions to realize the promise of becoming afluent societies by 2050. Signifcant improvements in the quality and credibility of national political and economic institutions (illustrated by rising corruption) are prerequisites for sustaining Asia’s growth trajectory. High quality institutions will help the fast growing countries avoid the Middle Income Trap, and the slower growing countries establish the basic conditions for moving toward sustained economic growth. Managing the common challenges—be they the delivery of quality social and infrastructure services, the prevention of crony capitalism, rapid urbanization, building a fundamentally sound financial sector, fostering entrepreneurship and innovation, the protection of citizens’ rights or the maintenance of the rule of law—requires effective governance, both central and local. Asian countries must improve governance and transform their institutions. The recent deterioration in the quality and credibility of national political and economic institutions (illustrated by rising corruption) is a key concern. Throughout Asia, an expanding middle class will demand increased voice and participation, transparent allocation of resources, accountability for results, and enhanced personal space. 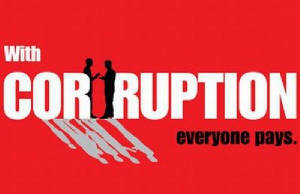 Eradicating corruption is critical for all countries to maintain social and political stability, and retain the legitimacy of governments. Read full presentation by Ramon R. Del Rosario Jr.